More cupcakes...My sister and I made the strawberry cupakes from this book. 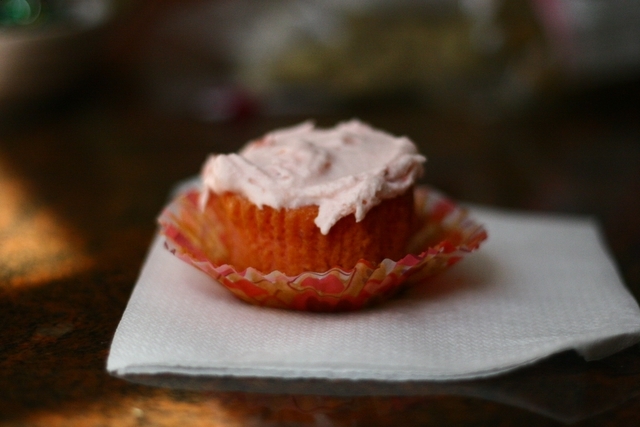 It's not exactly from scratch but the strawberry cream cheese frosting was. They were very good. Look at what I received from Caitlyn of Knot Without My Knitting. 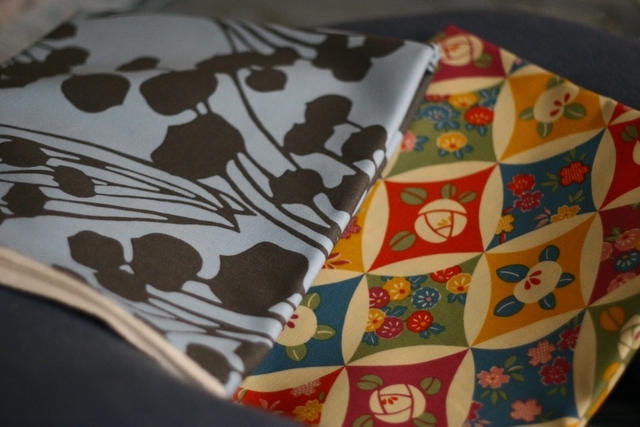 It's Amy Butler and Junko Onishi fabric. I love it. I plan to make her something in return. Thanks Caitlyn! Thanks so much for the tip to make these beautiful cupcakes! I love your new fabrics, can't wait to see what you make with them.